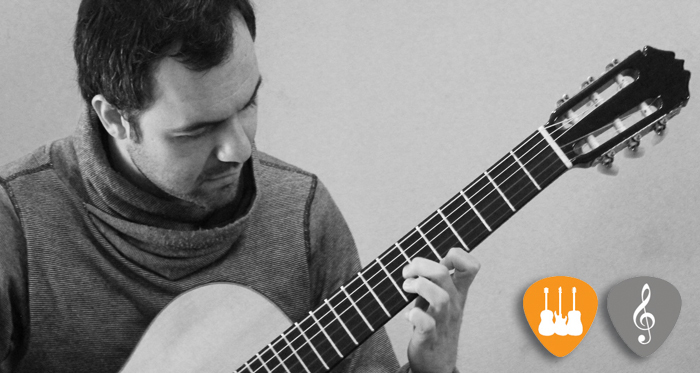 Gian Carlo Scevola teaches Classical Guitar, Contemporary Guitar encompassing Jazz & Blues Guitar, Electric Guitar (Pop&Rock/Heavy) and Acoustic Guitar (Folk), and Guitar Styles from Latin America (Tango, Bossa Nova, Bolero, Samba, etc.) as well as Music Theory and Composition at the Shine School of Music. After completing his initial music studies with honours in Chile, Gian Carlo obtained a Masters Degree in Musicology and Music Education in Barcelona. He continues to study and is pursuing his doctorate in classical guitar performance. Gian Carlo performs as a soloist as well as collaborating with Swing, Rock and Tango groups, most notably the Swing-Jazz group The Silver Lining.